A statute of limitations is the legal term for a deadline. It often refers to a period of time in which an individual may legally bring a lawsuit. In other words, a statute of limitations prevents “claimants from sleeping on their rights.” Statutes of limitations vary by state as well as the type of action. These time limits don't apply only to litigation; the law sets deadlines by which certain actions must be performed, such as opening an estate for administration. Under Texas law, an estate must be opened for administration within four years from the date that the testator passed away. 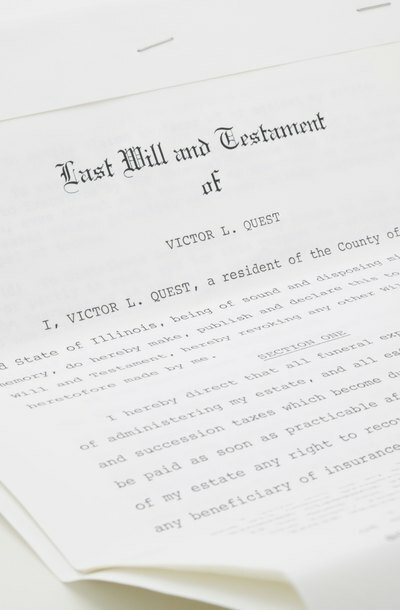 Estates can be opened with a will stating the decedent’s desires for how his property is to be distributed, or the estate can be opened if the decedent died "intestate" (without a will). In the latter case, Texas law will dictate how the estate property is distributed. When a will is present, it must be submitted to the court along with other paperwork. For intestate decedents, the estate is opened by the submission of certain forms. Texas law provides that if you wish to contest a will or testamentary trust, you must bring your claim within two years. If you wish to bring a claim against a trustee of a trust for breaching his fiduciary duties, the claim must be brought within four years. When the statute of limitations is tolled, it means that something stopped the time limit from running. An example of a situation that would toll the statute is incompetence. This means that if an individual is a minor, which in Texas refers to anyone under the age of 18, the statute of limitations is tolled until the individual reaches the age of majority. Minors must bring claims against the estate within two years after turning 18. Likewise, a forged will or other acts of fraud involving the will may toll the statute of limitations. In these situations, the statute of limitations runs from the date the fraud or forgery is discovered.